Finally, you can knock heads with one of the protectors of the galaxy! 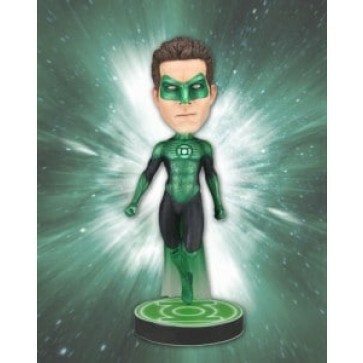 This addition to our popular Head Knockers line brings you Hal Jordan from the Green Lantern movie. The hand-painted resin sculpt captures him in flight over a themed Green Lantern base, ready to defend your desk or shelf. Over 8? tall with bobbling head - fun for fans young and old!